Functional Fillers: Chemical Composition, Morphology, Performance, Applications demonstrates the applications of fillers, their chemical composition or modification, and morphological features. The book includes two sections, with the first part covering classic fillers, analyzing the current modifications in relation to composition and morphology, and enabling enhancements in properties and applications. The second part presents the new generation of fillers, which are providing designers with exceptional properties not previously available with classic fillers used in industry. 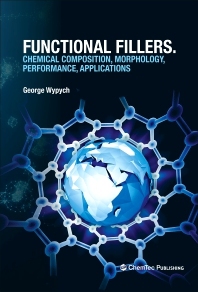 This book supports engineers, researchers and technicians working with fillers, and will be of great interest to professionals working across the chemical, pharmaceutical, medicinal and electronics industries.